The method of least squares is an alternative to interpolation for fitting a function to a set of points. Unlike interpolation, it does not require the fitted function to intersect each point. 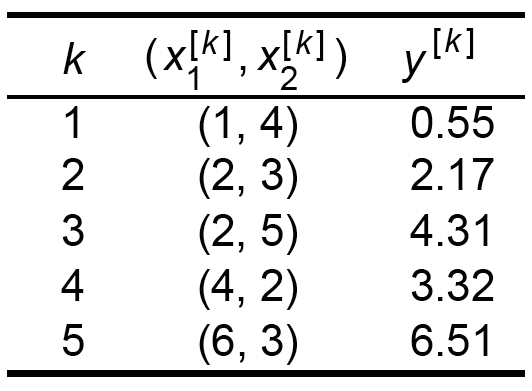 The method of least squares is probably best known for its use in statistical regression, but it is used in many contexts unrelated to statistics. The method encompasses many techniques. 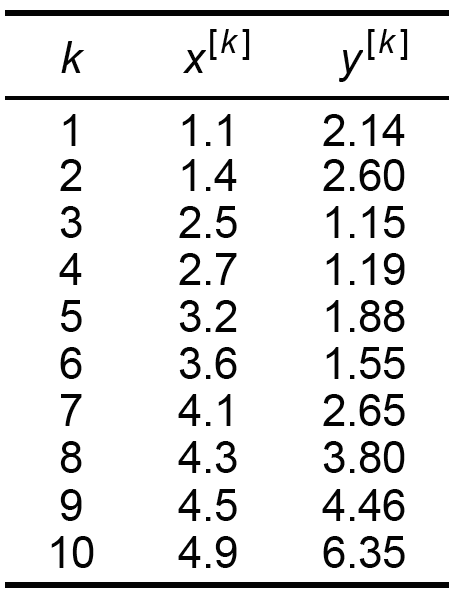 We present a fairly general approach called ordinary least squares. 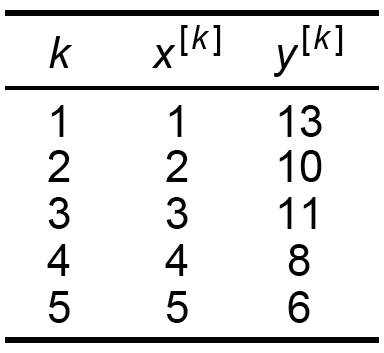 Suppose researchers gather 10 data points (x[k], y[k]) related to some phenomenon. 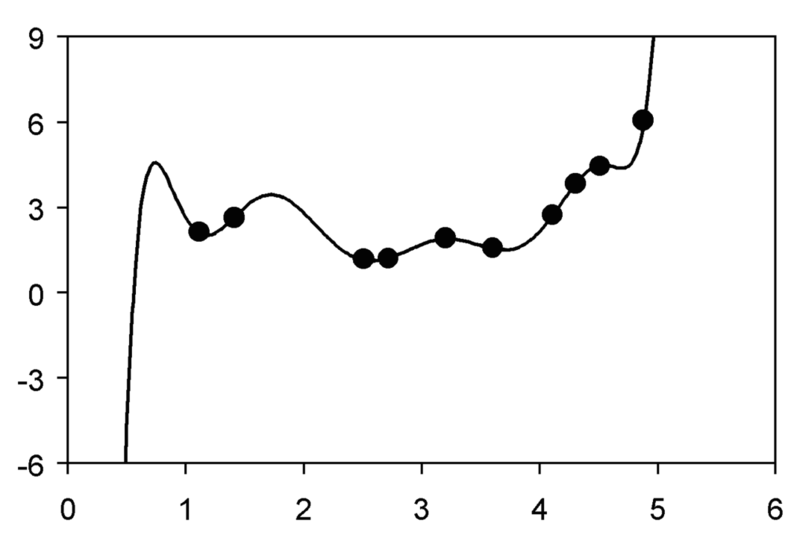 We interpolate a ninth-order polynomial based upon the data. See Exhibits 2.10 and 2.11. Because the polynomial is forced to intercept every point, it weaves up and down. In some applications, data may reflect random errors or other sources of “noise.” Forcing a curve to pass through each point causes its shape to reflect such noise as much as any underlying process that generated the data. We say the interpolated function is overfit to the data. As an alternative, we may fit a curve to data without requiring that it intercept each point. A quadratic polynomial fit in this manner to the data of Exhibit 2.10 is illustrated in Exhibit 2.12. As with the interpolation methodology of Section 2.4, functions fj : n → can take any form. 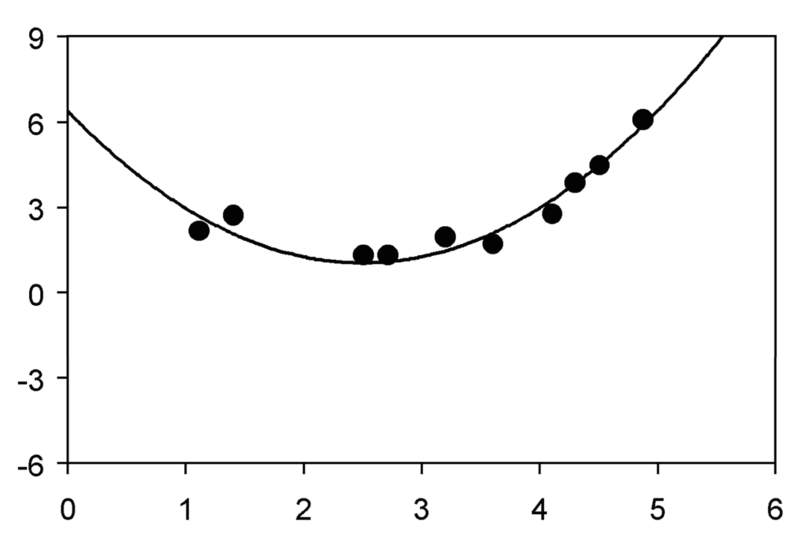 Unlike the interpolation methodology, we require that the number m of functions be less than the number l of points. which was graphed in Exhibit 2.12.
to the five points indicated in Exhibit 2.13.
to the five points indicated in Exhibit 2.14. Prove that, if the number m of functions fj equals the number l of points (x[k], y[k]) then the least squares solution [2.103] reduces to the interpolation solution [2.49]. 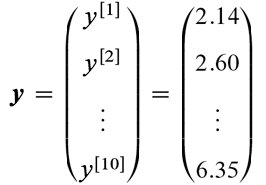 In this regard, ordinary least squares is a generalization of ordinary interpolation.